Yehuda Neubauer is head of the trademark and design department at Ehrlich & Fenster, which is responsible for the filing and prosecution of trademark and design applications by the Ehrlich Group. Mr Neubauer is also the head of IP litigation for the Ehrlich Group, as the founding partner of IP law firm Ehrlich, Neubauer & Melzer. A seasoned IP litigator, Mr Neubauer has built up an extraordinary wealth of domestic and cross-border IP litigation experience. His breadth of IP and industry experience, as well as his extensive experience in prosecuting trademark and design portfolios throughout the world, make him the first port of call for multinational and Israeli companies in the pharmaceutical, high-tech, life sciences, telecommunciations and consumer products industries. 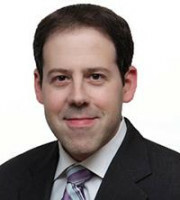 With a comprehensive grasp of science and technology, Mr Neubauer has successfully litigated a wide range of IP cases, including patents, trademarks, trade secrets, know-how and copyrights, both in civil actions before the courts, as well as in opposition proceedings before the Patent and Trademark Office. He has also provided legal consultation in patent post-issuance proceedings conducted by the US Patent Trial and Appeal Board. In addition, Mr Neubauer provides consultation related to business and legal strategies in the process of naming and branding. He also regularly drafts and negotiates contracts and routinely advises clients in relation to their IP protection and enforcement strategy, risk evaluation, open source matters, investment due diligence and product clearance.